Fesenjoon is a Persian stew made with ground walnuts and pomegranates. Also pronounced, fesenjan, it can be made with chicken or duck, or you can leave the meat out and keep it vegan. If you didn’t know, it’s pomegranate season. I mean, HALLELUJAH! IT’S POMEGRANATE SEASON! And if you have been following me on Instagram, then you know that we have been seeding pomegranates by the dozen in our house. My kids are thrilled because they are inhaling a bowl of pomegranate seeds every single day. I’m a happy mom because I know they are getting a fantastic dose of fiber, vitamins and antioxidants that is bursting within this bejeweled fruit. 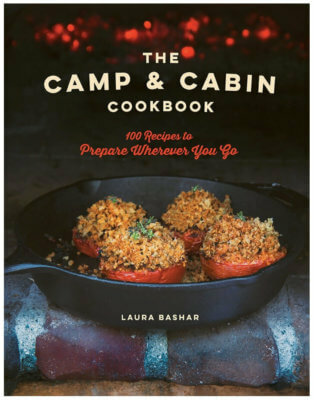 Middle-easterners have always loved their pomegranates. They are used in all aspects of cooking. It’s taken some time, but I’m happy to see Westerners enjoy this stunning fruit. Give a kid a bowl of pomegranate seeds and see their faces light up! Khoresh Fesenjan is a very popular Persian stew that stands out amongst all of the stews that come from Iran. Unlike many other Persian stews, fesenjoon is not tomato based. 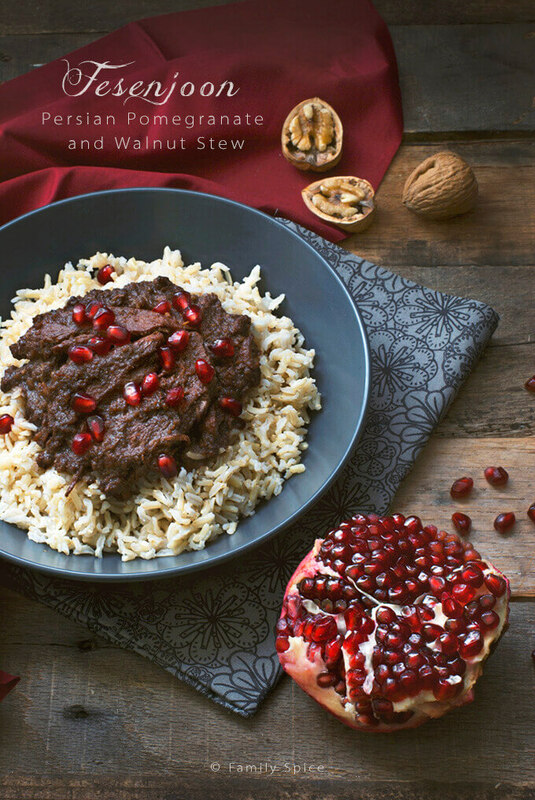 The main part of the stew is made with crushed walnuts, onions and pomegranate concentrate. You can serve fesenjoon with just this base and keep it vegetarian. But usually, it is served with duck, chicken or even meatballs. Since duck meat is hard to find in the US, we usually use chicken. The stew is served on a bed of white basmati rice. But because of its rich nutty flavor, it is equally delicious with brown basmati rice. Some people use these words interchangeably, but there is a big difference between pomegranate concentrate, pomegranate syrup and pomegranate molasses. 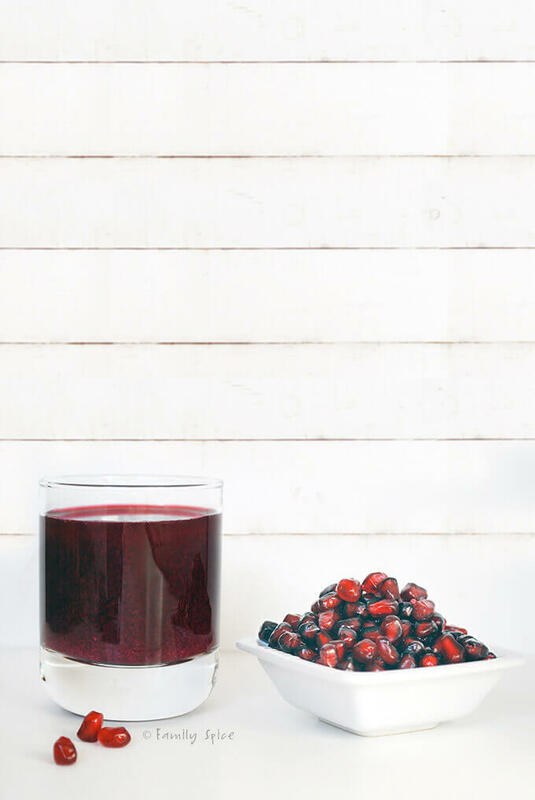 Pomegranate concentrate is basically pomegranate juice that has been reduced to a thick, syrup-like consistency, about 50% reduction in volume. There is no sugar added to pomegranate concentrate. Pomegranate syrup is pomegranate juice mixed in with sugar and then slowly reduced down into a syrup consistency. Pomegranate molasses is pomegranate syrup that has been reduced and thickened even more. I prefer to use pomegranate concentrate in my cooking, so I can control the amount of sugar in my recipes. I do not like having my meals be sugary sweet, so I like a little tartness when using pomegranates. If you are using pomegranate concentrate for this recipe, do not add the additional sugar. Taste the dish first and add more if you prefer a sweeter dish. Whichever you pomegranate flavoring you do use, either can be purchased as is or you can make it at home. 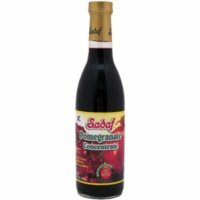 Pomegranate concentrate is just pomegranate juice that has been reduced down by 50%. My friend Beth, at OMG Yummy, has great instructions for making your own pomegranate molasses here. I learned how to make khoresh fesenjan from my husband’s aunt Sholeh. My husband told me that her fesenjoon was the best and told me to learn from her. Sholeh’s secret to making the best tasting fesenjoon is to brown the ground walnut-onion mixture, which makes the base of the stew. And when I say brown the mixture, I mean cook until that mixture turns brown, like roux. This is done slowly because you do NOT want to burn the walnuts. If you do it will taste horrible and you will have to throw it away and start again. Also, make sure you use fresh walnuts and not stale walnuts. Stale walnuts have a bitter aftertaste and can ruin your stew. Most other fesenjan recipes do require this browning step. They simply add the walnut paste directly into the stew with the rest of the ingredients. But I promise you that your fesenjoon will taste 100x better by doing this extra step. So be patient, it is so worth the wait. This dish is rich and so full of amazing flavors. 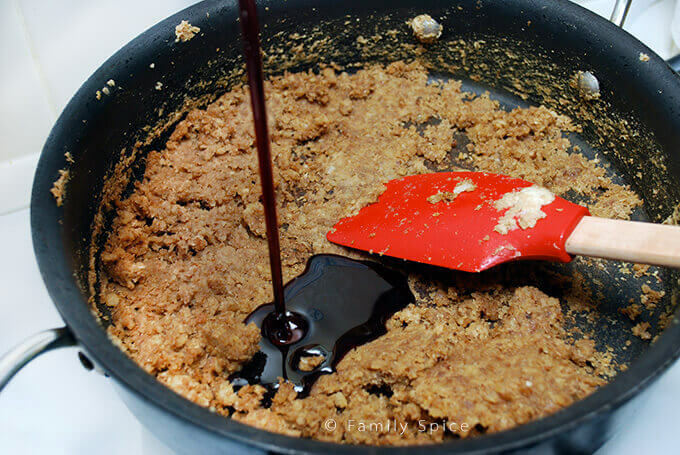 Once the walnut mixture is browned, you add in the saffron and pomegranate concentrate. Now here is where some people disagree with me. Again, I prefer to use straight up pomegranate concentrate, without any added sugar. It is more tart than pomegranate syrup or molasses, which does contain sugar and has, I believe, a more muted pomegranate flavor. I like to control how much sugar is in my meal. I like things minimally sweet, so I only add a couple tablespoons of sugar for this dish. 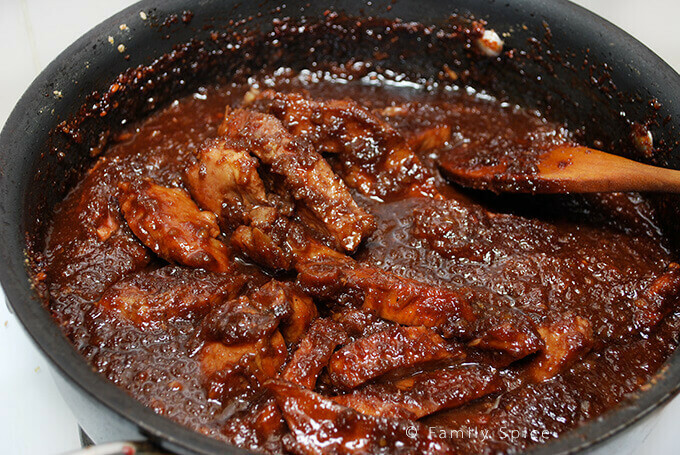 Once the pomegranate concentrate is mixed in, add in the browned chicken or duck meat. Allow everything to continue cooking together for 20-30 minutes more. Although fresh pomegranate arils are not required for this dish, I like to garnish my fesenjoon with some fresh arils. Intimidated with seeding a pomegranate? Sure, you can buy packages of pomegranate seeds at the store, but it’s really not that hard to seed a pomegranate. Watch the video above or read detailed instructions here. If you are lucky to enough have a hoard of pomegranates on hand, I also have a great detailed post on how to juice a pomegranate. Fesenjoon is terrific example of a Persian stew that freezes very well. You can make a large batch and freeze it until you are ready to serve it. This helps with any party planning you might need to do in order to work ahead of a big dinner party. Persian stews taste even better the longer it sits. So even cooking fesenjan a few days before you plan on serving it means that your stew will taste even better. I definitely do not recommend freezing cooking rice. Rice does not hold up well once frozen, thawed and reheated. Fesenjoon is a Persian stew made with ground walnuts and pomegranates. It can be made with chicken or duck, or you can leave the meat out and keep it vegan. 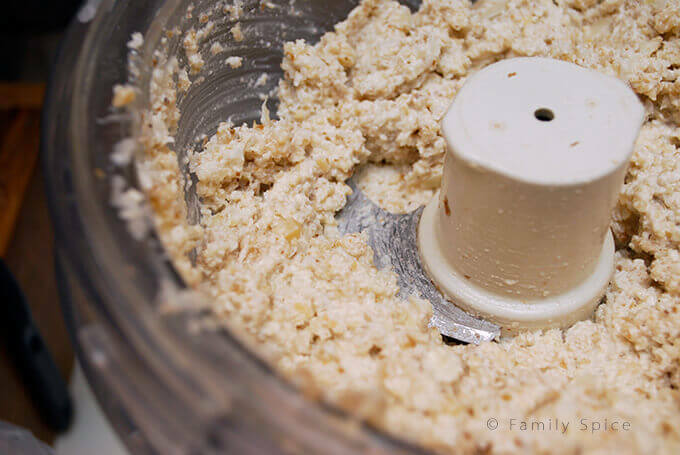 Purée onions until smooth in a food processor. Add in walnuts and purée with the onions. 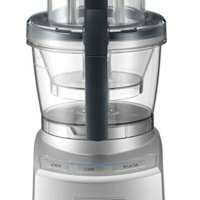 Scrape down sides of the bowl and pulse in the food processor until onions and walnuts are completely blended and a thick paste is formed. In a large non-stick skillet, over medium-high heat scrape out the walnut-onion mixture and smooth it evenly on to the bottom of the skillet. 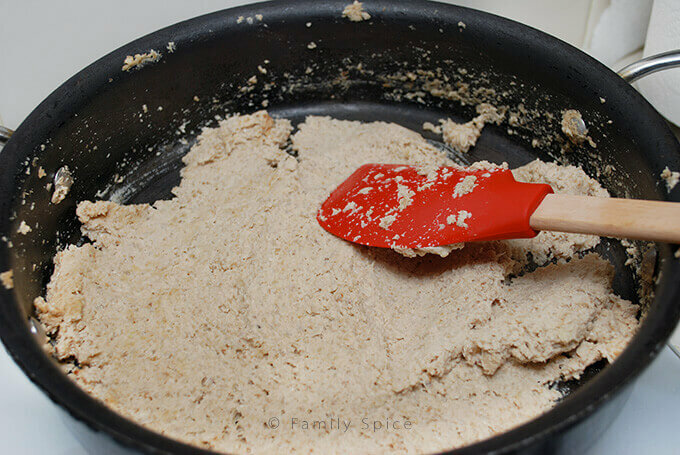 When it starts to brown, stir and remix the paste and smooth it again evenly on to the bottom of the skillet. Reduce heat to low and repeat step 5 every 10-15 minutes. Cook until walnut-onion mixture is deep brown in color and crumbly, about 2 hours. In a different non-stick skillet heat over medium-high and add olive oil. When oil is hot, add seasoned chicken. Cook until browned, approximately 5-7 minutes. Turn chicken breast over and brown the other side. Reduce heat to medium-low, cover skillet and cook until chicken breasts are almost completely done, approximately 15 minutes. Stir saffron and pomegranate concentrate into walnut-onion mixture. Add chicken breast strips and simmer until color darkens, about 20 minutes. If sauce needs thinning, drizzle in water as needed. Different brands of pomegranate concentrate vary in flavor and sweetness. If your pomegranate concentrate is too sour, stir in a little sugar until desired sweetness. If you are using pomegranate molasses, it is already sweetened with sugar, so no additional sugar is needed. Pour stew into serving dish. Cooking Tips: You can also shred the chicken and then add it to stew. This is a very rich and filling dish that your guests will love! For a vegetarian version, do not add chicken. I am with you on the pomegranate! I plan to enjoy it as long as I can! Love this stew! I love pomegranates too! Your stew sounds delish! One recipe very definitely to be filed for our next pomegranate season: appreciate them more and more every year! Wow! Your opening shot of the pomegranate is gorgeous! 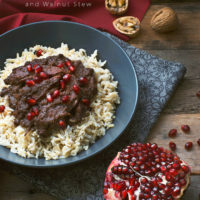 I always like something crunchy and your stew with pomegranate seeds sounds delicious. Yumm ! Will be making this sooooon ! Love poms & this combo sounds great !! You know I can’t get enough POMS! Gotta get busy making this stew! OPA! Great pictures, particularly the first. Pomegranates are so good. I love the seeds and the juice in grenadine, but I’ll eat them anyway I can. Definitely need to make your Fesenjoon. Good stuff – thanks. I just read the recipe and it sounds very moreish indeed. Gorgeous photos. I have eaten this (I believe) at Alborz, sans chicken. It is absolutely delicious! I am sad to reportI haven’t eaten any pomegranates yet this season. So glad you shared the recipe for this dish! I would never have conceived of this dish. It sounds wonderful. 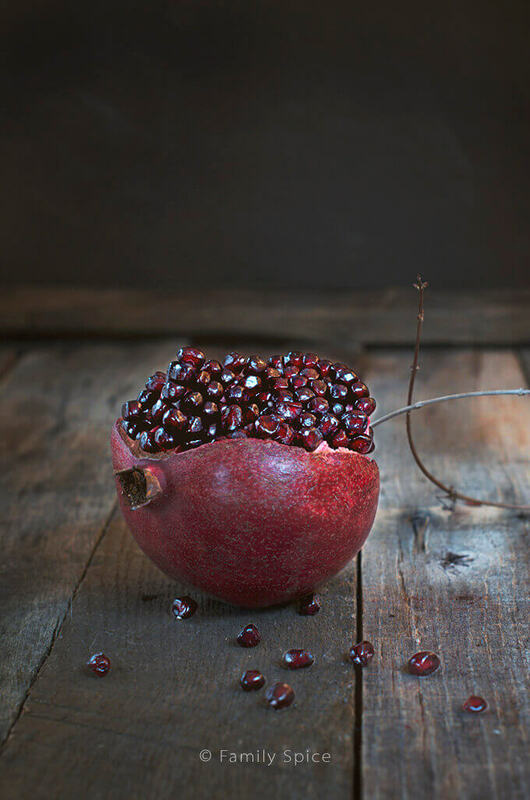 gorgeous shot of the pomegranate! middle eastern food is fab! First time seeing pomegranate in stew, and it looks so pretty and delicious! I love the feeling of this photography, Laura. I don’t know enough vocabulary to express it, but very beautiful and I love it. I had a dish similar to this years ago at a dinner prepared by an acquaintance long since lost contact. It was a glorious Babbette’s Feast Middle Eastern style spread of awesomeness. I never knew what the ingredients were to the dish but it was a chicken smothered in a more creamy gravy topped with pomegranate. I have looked over the years for anything similar and this is close. Are there versions of this dish that would produce a more creamy stew? I will try this unaltered first but would love your impression. I answered my own question by looking at other recipes. Seriously my partner reminded me that it has been at least 20 years that I have been on the look out for this dish. So excited to give it a whirl. 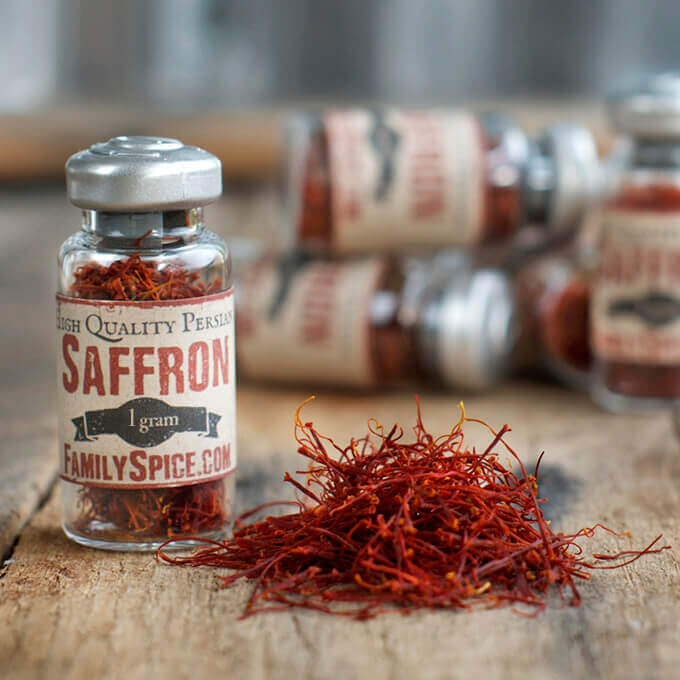 Have never cooked with saffron and picked up tips looking at recipes today. I have a few threads of saffron that I have been saving for the end of days so guess I will break down and use that for good measure since the December 21 thing was a bust. Thanks for sharing your secret of browning walnuts with onions. I’ve never heard of that before. I’ll try it next time. 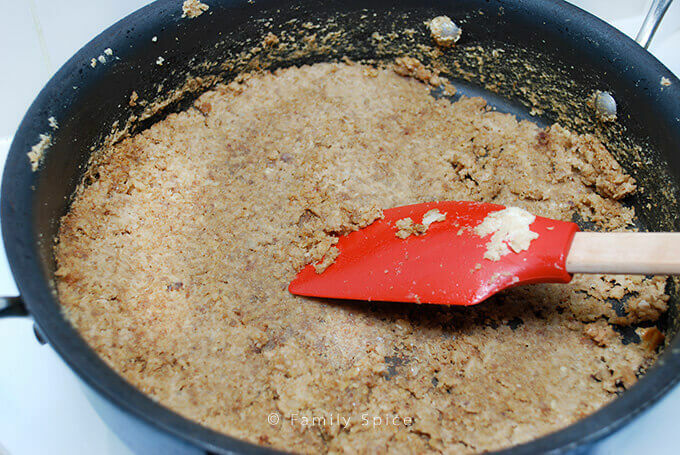 I hated fesenjoon growing up and every time my poor mother made it, I would say to her “You made wasted-walnuts food again?” I was stupid, period. Now as a grown up fesenjoon is one of my favorites. But I like it with ground beef/lamb tiny meatballs, I never liked it with chicken. I like it sweet and sour, so I add enough sugar to make it like that. Since it’s not a food that I make every week or even every month, I don’t worry about its sugar. I think you will love your fesenjoon even more if you add some cumin to the mixture of walnuts and onion, it makes a big difference. I learned it from my sister in law. She also adds some tomato paste to it to make it look better. Yours look great but I didn’t see tomato paste in your ingredients, I’m wondering how you made the color change to this reddish tone, is it just the saffron? I’ve never heard of adding tomato paste to fesenjoon. All the color and flavor come from the walnuts and pomegranate. The deep color also comes from the browning of the onion-walnut mixture. I’ve made this dish many, many times and it always comes out perfectly. Remember, pomegranate syrup has a deep magenta tone. Mixed with the brown of walnuts, it must give the color you are talking about.